Foster’s background in whitewater began in 2005 on the Ottawa River in Ontario. Since then he has worked as a guide/safety kayaker on seven different Canadian rivers. He really loves getting on a new run with friends!  Foster also has a great time teaching kayaking , allowing him to give something back to the river community in return for so many incredible experiences over the years. 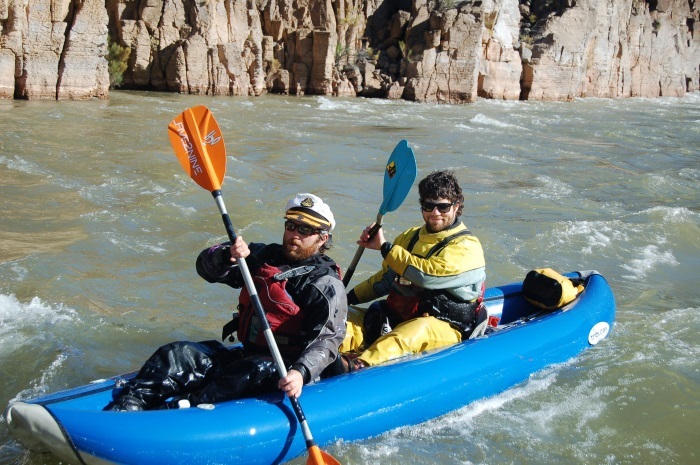 Amy, Foster, Geoff & Chris all journeyed down the Colorado River through the Grand Canyon during 2012 for a month and formed another strong river connection and bond for adventure. Foster’s enthusiasm and skills will be very valuable during our whitewater course components when he’s not busy fighting forest fires for the ministry.